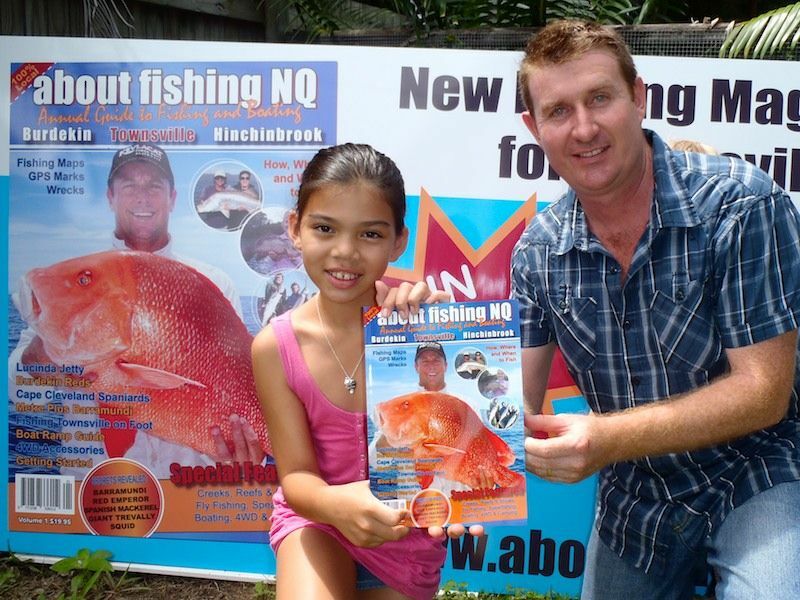 Fishing Townsville contributor Dion Forman today officially launched his first edition of the locally written 'about fishing NQ' magazine. It has 243 GPS Marks, 40 Boat Ramps, 24 Fishing Maps, 30 Writers all in 208 beautifully coloured pages written just for the North. Copies are NOW available for purchase on their website or from the best tackle store in Townsville, ProTackle. Price is just $19.95. You can check out my article on Fishing the Channel Markers on page 114. Here is Dion Forman pictured with about fishing NQ's youngest writer, Christine Little, from the launch at Dion's house today.